JAM-X BAND/Coral Sea Entertainment Group, GigMasters Rising Star Award Winner for Top World Band for GigMasters bookings in the United States and Canada is ready to perform at your next Great Event! 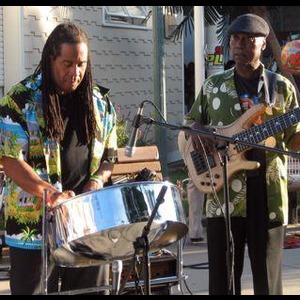 'JAM-X BAND', Gigmasters' most Booked and Highest rated Music Performance Group, has been successfully entertaining thousands of fans of 'AUTHENTIC' Reggae & Caribbean music in U.S. Cities for more than 20 years. The Band, whose Celebrity Clients include Former President Bill Clinton,The U.S. Tennis Association (U.S. OPEN),The N.Y. Yankees and Jerry Seinfeld,would be honored to perform at your Event. 'JAMX BAND' performance cities include Atlanta Ga., New Orleans, La, Philadelphia Pa.,Boston Ma, and other cities in Vermont,Maine, New Hampshire, Rhode Island, Connecticut, New Jersey, Delaware, Maryland, Washington DC, Virginia, North and South Carolina,Tennesee,Florida, Puerto Rico and Canada. 'JAM X BAND' jams the exciting music of Bob Marley, Third World, UB40, Jimmy Buffett,and other Hot Caribbean Music Artists, as well as Original material in every Show, and love to interact with audiences jammin to that Pulsating high energy Caribbean/Reggae beat. The JAMX success however is also in great part due to the participation and great dedication of the Professional Musicians and Performers, who give 'JAM X' that artistic edge when they hit stages throughout the USA and Caribbean. JAM X BAND members are from various Caribbean countries including Jamaica, Trinidad, Haiti, Guyana, St.Vincent, Barbados, Antigua,St lucia and Dominica. Whether the request is for a single Steel Drummer for a Wedding Cocktail hour, or 20 piece ensemble of Reggae/Calypso Band, Fire-limbo Dancers,Fire Eaters, Stilt Walkers and Steel Pan, you can be assured that 'JAM X BAND' and all 'CORAL SEA ENTERTAINMENT' Performers will be in the right place, at the right time to give an unparalleled and unforgettable performance. Jam X Band/ Coral Sea Entertainment did a fantastic job. From the first contact, they were very helpful and easy to work with. They showed up to the event on time and my guests loved the music. They were very cooperative and I would recommend them. They were very patient and are great to work with. Dex and the JamX Band were outstanding! My Family Reunion ended on a HOT~ HOT ~HOT note and are still talking about the band! I would definetly recommend the Jam X Band/Coral Sea Entertainment Group to all who want to have a good "HOT" time! I highly recommend Jam X. They are extremely professional and super talented! 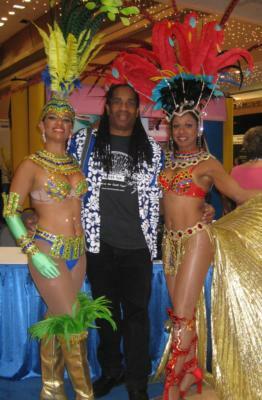 They have great energy and provide an awesome Caribbean vibe. Everyone had a fabulous time. I can't wait for another reason to hire them! Sensational group. Really great group of musicians who on top of possessing talent were also a pleasure to be around and spend an afternoon with. Look forward to working with them for our next event! Dex and his band were the highlight of our wedding! I've had so many guests approach me since the wedding to ask us about JamX. We only booked them for the cocktail hour, but I have a feeling that if they had played all night, we never would have made it to dinner - that's how much fun we had jamming to their tunes. If we ever have another event needing steel drums, I will definitely be contacting JamX! The band arrived early so we didn't have to worry about getting them set up (a definite plus for a bride), and they sounded GREAT (we went with 3 instruments plus vocal). LOVED THEM and would definitely recommend them to others. Long Trout Winery was very well satisfied with Jam X Band. All three bandmembers were very friendly and personable. they accommodated most, if not all, of our guests requests and the crowd's comments were extremely favorable. We had a bit of a tough time this year finding a band that fit our specific needs, but we are thankful that we landed on GigMasters and stumbed across Jam X....We feel as though we have made some new talented friends who brought back memories of a brief time, many years ago, that we had spent in the islands...it was a fun relaxing afternoon. This band really lays down a quality island sound with some slammin' raggae to get your crowd jammin'. Please note Jam X Band/Coral Sea Entertainment Group will also travel to Jamaica, Flushing, Far Rockaway, Arverne, Inwood, Long Island City, Cedarhurst, Lawrence, New York, Valley Stream, Woodmere, Atlantic Beach, Elmont, Floral Park, Hewlett, Glen Oaks, Lynbrook, Malverne, Bronx, East Rockaway, Franklin Square, Hoboken, Jersey City, New Hyde Park, Garden City, Great Neck, Island Park, Long Beach, Oceanside, Paramus.